Dimuth Karunaratne gets medical attention. Cummins' delivery caught the opener off guard as he attempted to get out of the way of the rising ball. 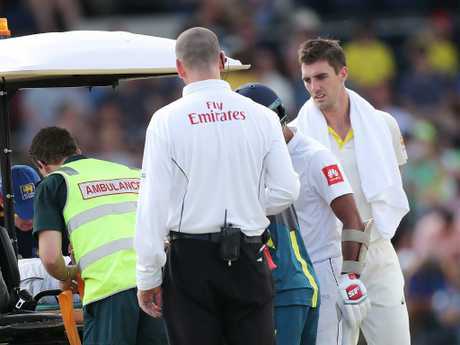 First reports are positive, however, with Fox Cricket's Neroli Meadows reporting "he never lost consciousness" after being struck in the neck. "He has been taken to hospital," she said. "It was quite distressing at the time. His dad came around and was visibly upset, his sister came as well. They've gone to hospital in a separate car to support Karunaratne. The manager from Sri Lanka was also with him." 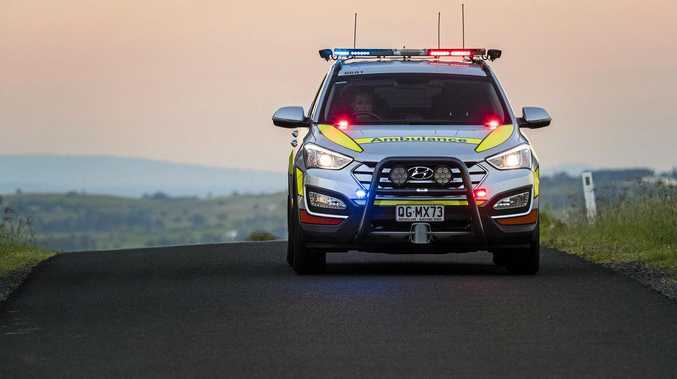 He was taken to the Canberra Hospital as a precautionary measure. She added Karunaratne "complained off pain in neck and tingling to his hands". 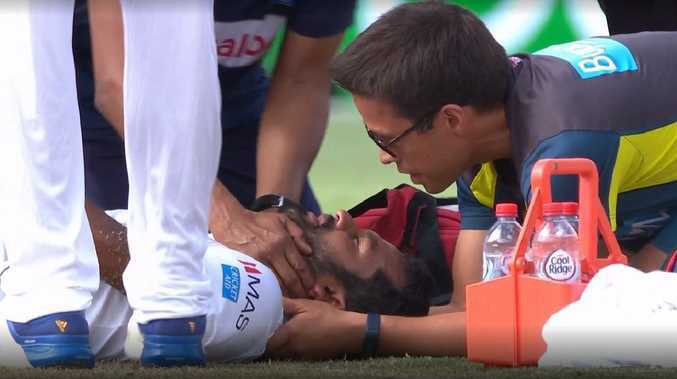 After roughly 10 minutes of laying on the pitch, Karunaratne was lifted onto the stretcher with a neck brace on. As he was loaded onto the stretcher, Cummins was quick to check in on his opponent. Cummins checks in on Dimuth Karunaratne. The commentators quickly praised the medical staff and both sides for how they reacted. He was driven straight from the field and loaded into an awaiting ambulance. Cummins was coming around the wicket to the left-handed Karunaratne when the Sri Lanka batsman was felled. Dimuth Karunaratne flexed his fingers while lying on the ground. Channel Seven commentator James Brayshaw said it was "raw" for the cricket community after a bouncer led to Phil Hughes death on the field in a Sheffield Shield match in November 2014. "It is all a bit flattening, isn't it?" he said. "No one likes to see, in any sport, anyone injured. It is all pretty raw for us in the cricket family, isn't it."